This past Monday mid morning I received a call from one of the coordinators of Port Angeles Celebration of Science & Technology fair asking me to return to nerd out about mycology this year and it send me through a time machine looking back over the last year and all that has transpired! 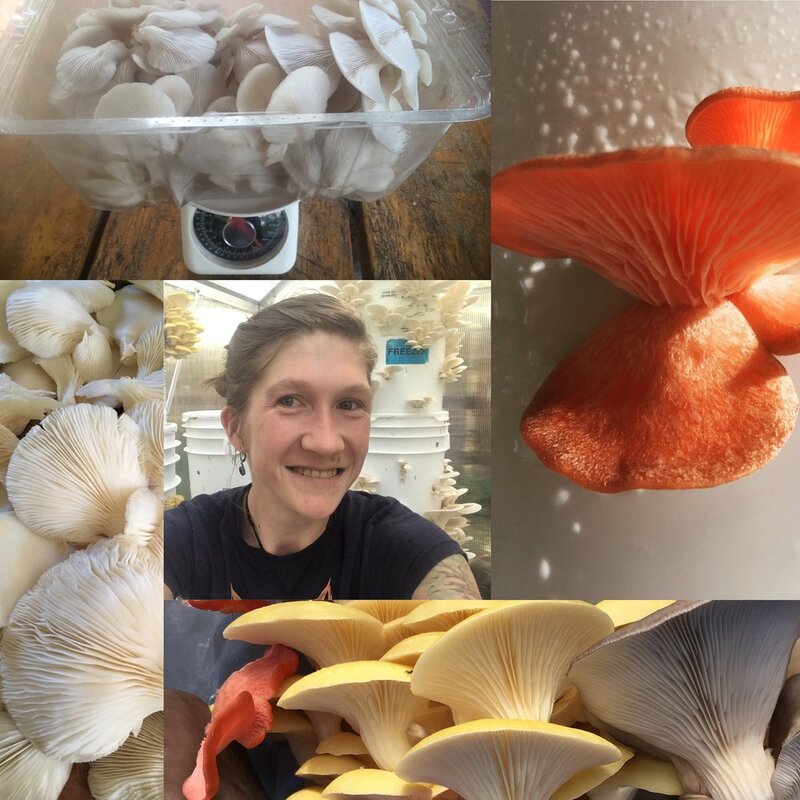 Holy cow I am completely blown away by all that I learned, and accomplished last year, grateful for both the successes and belly flops because one year later I will be standing in the same spot sharing the inspiration of fungi. First off I took my father on a daddy daughter date to listen to the Mycological Rockstar Paul Stamens where I got to meet the man with a mushroom hat... if you haven't watched 6 ways that mushrooms can save the world you should check it out, it was a major factor in kickstarting my journey to working with fungi. and fruit they did, big beautiful multi colored bunches of oyster mushrooms. I also had the pleasure of eating many, and playing around with different recipes. 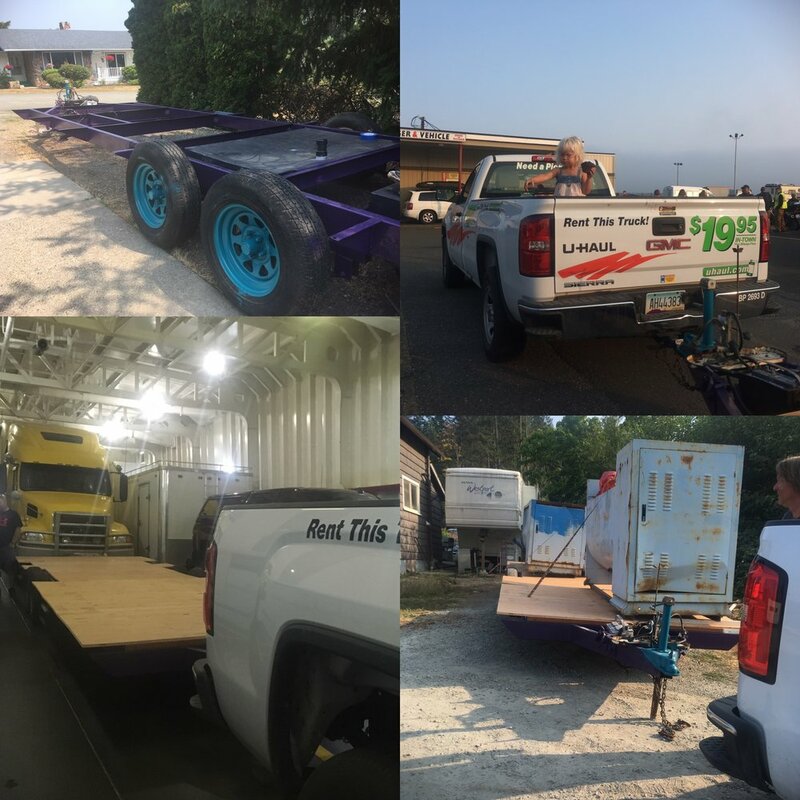 A trailer was purchased, restored, and hauled over to water and boarder to pick up my industrial mushroom equipment, only to be abandoned for a month it after only half the equipment loaded had the trailer dragging on the road with a horrible screech. One month later a professional semi driver and his tractor brought it to me! He and my friends who have been storing it are the kindest people I have worked with regards to interactions stemming from this equipment. In October traveled to Wisconsin to the first ever Women in Mycology retreat hosted by the Midwest Herbal Women! Where I learned lots, relaxed lots, and really had the incredible chance to deepen my friendship with some of the most incredible women I know to be on this planet. It was also on that trip that I got the incredible news about becoming a finalist for Kitsap Bank's edg3 fund a small business competition that inspired me to create this website, and create my first video ever, along with learn much about social media, myself, and speak in front of a very large room of bankers and business people. and proof of the shaky courage to share my dreams in front of a room packed full of business people and bankers and thankfully my most incredible support team of family and friends! This is just the tip of the iceberg, because I must leave space for more to come. Spring has sprung, a year has come full circle, and now I have recovered the energy to focus on sharing more with you. I am excited to continue to share all that I learned and where I am headed from here so please stay tuned! My final yet most important note, thank you so much to all your glorious folks who have helped over the last year, you believed in me when things were hard, and helped me step out of my comfort zone and create magic! Older PostT-minus 3 days till voting ends.